Tronc shows the dangers of publishers treating journalism like mere content. Tribune Publishing Co.—the publisher of storied newspapers including the Chicago Tribune, L.A. Times, and Baltimore Sun—raised eyebrows last week when it announced that effective later this month it will change its name to the dubious neologism Tronc, which ostensibly stands for “Tribune online content,” and which you’re not supposed to capitalize, though it looks unfortunate when you don’t. I recently wrote about the perils of journalists using the word content to describe their work. The press release in which Tribune Publishing announced its name change is a master class in the inverse phenomenon of publishers treating their reporters as content creators: By my count, it uses the word content on a grueling 11 occasions and the word journalism only once. That choice of language is neither incidental nor cosmetic. Going forward, in the hazy verbiage of the same press release, the publisher will become a “content curation and monetization company focused on creating and distributing premium, verified content across all channels.” To do so, it will apparently “leverage innovative technology,” and use “artificial intelligence” to “better monetize” the, uh, content. Some of that jargon, which got pilloried online, might have been a misfired maneuver to emulate some of Tribune Publishing’s more youthful competitors—though, to be fair, it’s not clear that actual startups benefit from that type of newspeak either—but if it represents the company’s actual plan for the future, we should be very concerned about what it’s going to mean for its excellent roster of papers. That’s because publishers use the word content to imply connotations of journalism without taking on any of the procedural or ethical expectations. The goal of journalism is to be accurate and as objective as possible; the goal of content, generally speaking, is to rack up page views for cheap, or perhaps to sell you something. When publishers use the latter to describe something that they previously called journalism, I always suspect they’re trying to dissolve the distinction between the two. If so, Tribune Publishing—it’ll be a couple weeks before it’s officially Tronc—would do well to consider the precedent. In 2010, Forbes switched much of its web presence to a “contributor network” that lets pre-approved writers publish more or less anything, but rewards them financially for web traffic. The initiative appears to have turned Forbes’ web presence into a bottomless cesspool of businessy listicles, but it’s also led to dubious ethical behavior: Earlier this year, a British PR rep reported that when he pitched a story about one of his clients to an unnamed Forbes contributor, the contributor rather bluntly asked for a bribe, explaining that he or she was “only paid a very small sum by Forbes which doesn’t stretch far.” Forbes promised to investigate but never followed up publicly. Or they could look to the Mix, a “contributor network” that seems to be Hearst’s attempt to apply the content mill model to magazines like Cosmopolitan, Town and Country, and Esquire. If you sign up for the Mix, you get a daily email of sensational story topics like “Our Perfect Marriage Isn’t Real” or “I Regret My Plastic Surgery.” If you submit a story based on one of those topics, and the editors like it enough to run it on one of their magazines’ websites—there’s no guarantee, astonishingly—your meager payment will be just $100, with an unspecified bonus if the story goes viral, which sounds to me rather like a boot stamping on the face of journalism forever. 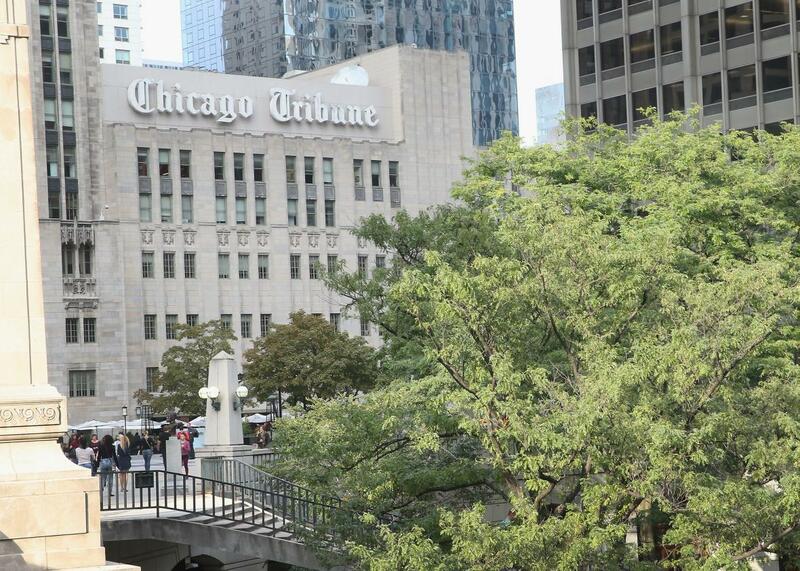 Tribune’s name change stands in particular contrast to another recent document that lays out a potential future for journalism. A memo that New York Times executive editor Dean Baquet sent to the Times staff last month outlines an expansive vision for the paper that aims to attract digital readers with ideas that span virtual reality and a new focus on video production—but also doubles down on investigative reporting, solid storytelling, and diversity in the newsroom. Baquet uses the word content, notably, zero times in the memo. Of course, I don’t know what Tribune Publishing’s executive team actually plans to do (and according to one observer, neither do they.) Maybe all that talk of content and monetization is just a way to soothe stakeholders who’ve grown skittish after Gannett’s failed takeover bid earlier this year. If they do have a specific strategy for how to reshape their newspapers around the Tronc brand, though, I hope (in the face of all evidence to the contrary) that those plans are more in the spirit of the Times than Forbes or Hearst. The response among journalists who actually work at Tribune papers, though, has so far struck a note somewhere between resignation and despair.